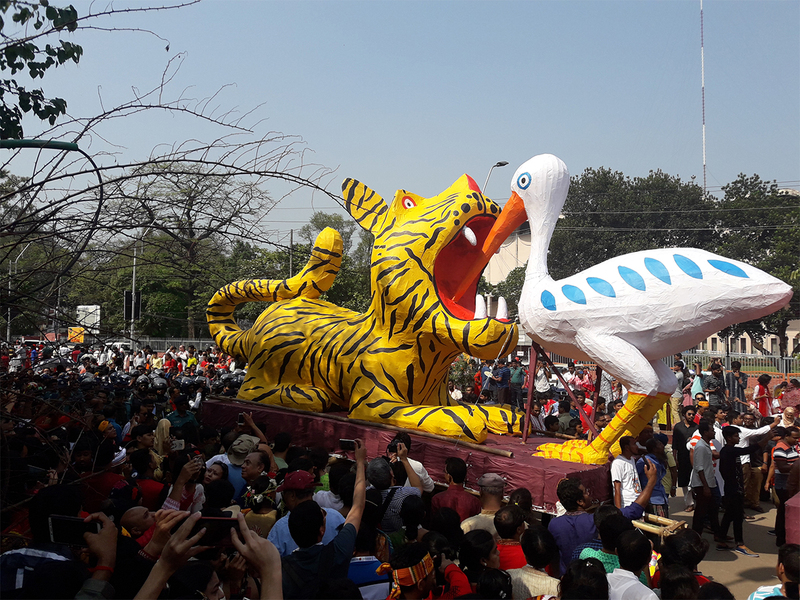 Dhaka: Dhaka was decked out in its colourful best today as waves upon waves of Bangladeshis turned out to mark one of the biggest occasions in the national calendar, the Pohela Boishakh or the Bengali New Year. 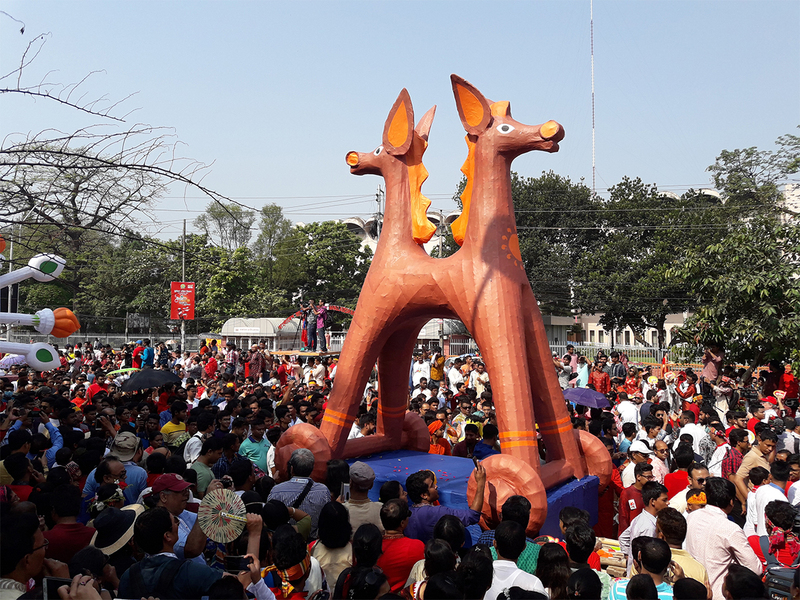 Celebrated on April 14 each year, the day sees people attend events in public parks, and a parade with flamboyant floats that snakes through the centre of the crowded megapolis. Bengalis in the Indian state of West Bengal mark the start of the New Year a day later. The theory goes that the 7thcentury King Shashank was behind the Bengali calendar. But it is said to have been modified by the third Mughal emperor Akbar, for ease of tax collection. Mughal India used the lunar Hijri calendar, which clashed with the solar agricultural cycles. The emperor is believed to have then ordered his astronomers to reconcile the two, and this led to the birth of the calendar as it is known today. For successive governments after independence, promoting the concept of the Bengali new year’s day served two political purposes. It helped them infuse the people with a greater sense of Bengali nationalism, and also promote secularism by bringing together Bangladeshi Muslims and Bangladeshi Hindus as united Bengalis.